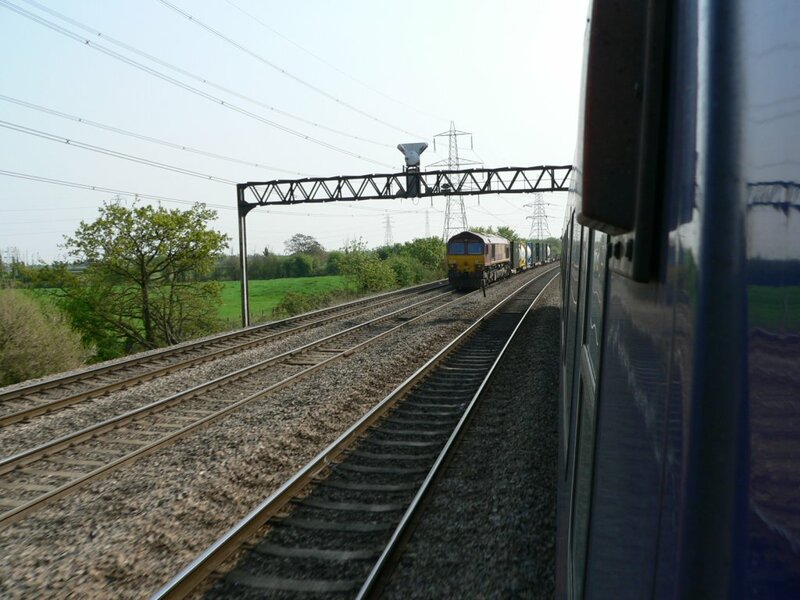 An EWS Class 66 deisel locomotive hauls various chemical tannker wagons east along the South Wales Main Line east of Cardiff Central, viewed from the window at the front of Coach A on a First Great Western HST heading eastbound to London Paddington. Photo by Chris McKenna 10/05/2006. Larger, higher quality copies of my photos are available, click here for details. If you wish to use this, or any other of my photographs, under a different license see my relicensing policy. Feedback on my pictures is always welcome. Line of freight locomotives at Didcot Parkway on a Saturday, obviously the monicker 'Everyone Works Sunday' means that no-one works Saturdays! 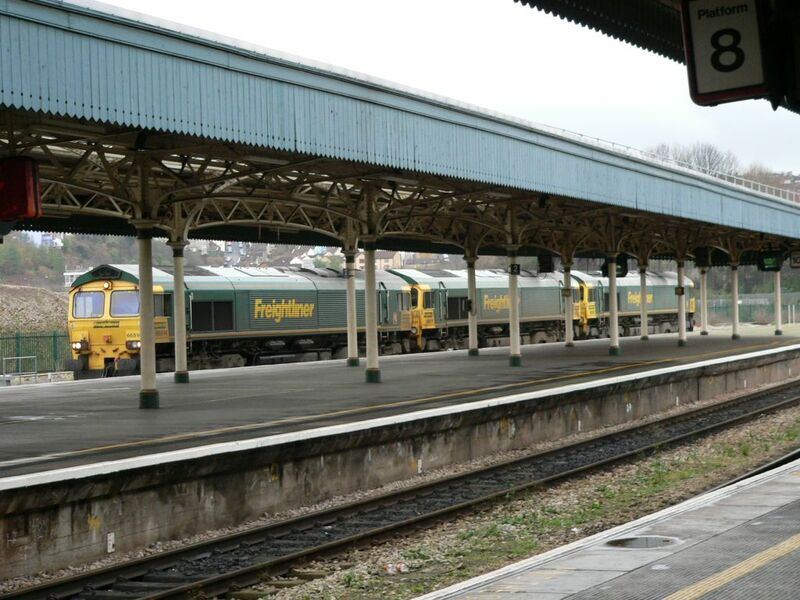 Three Freightliner Class 66 diesel locomotives head light engine northbound through Bristol Temple Meads. 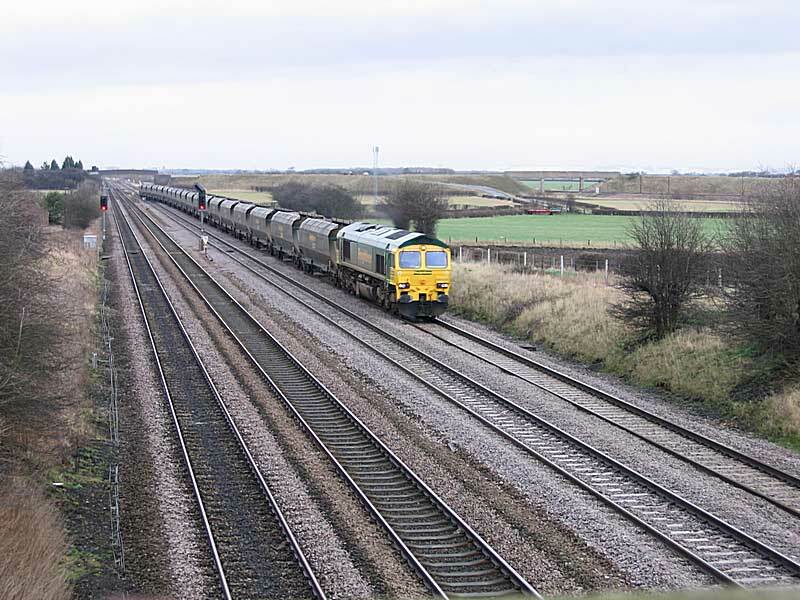 The three locomotives are 66514 leading, 66511 and 66x53. Photo by Chris McKenna 01/12/2006. Larger, higher quality copies of my photos are available, click here for details. If you wish to use this, or any other of my photographs, under a different license see my relicensing policy. 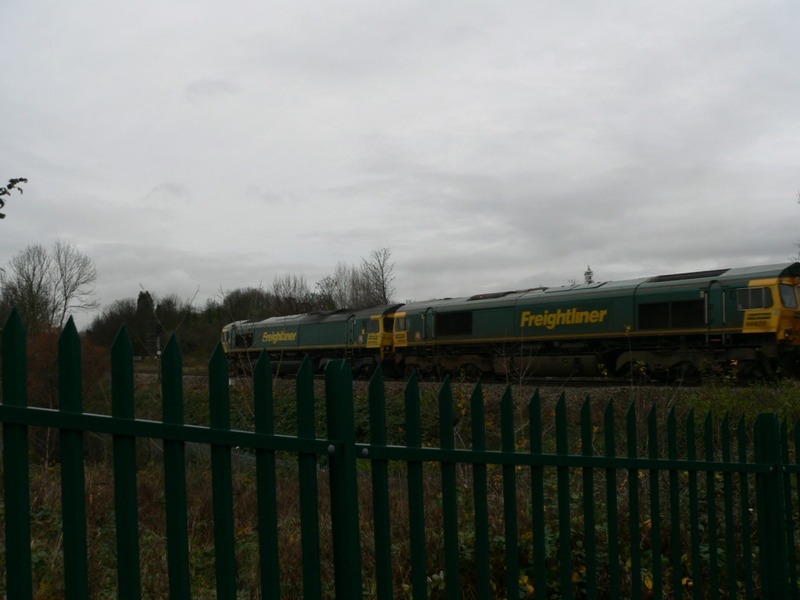 The first two of three Freightliner Class 66 diesel locomotives heading light engine southbound towards Bristol Temple Meads, photographed from a footpath off Sation Road in the Ashley Down area of Bristol - probably the site of a now-closed station. 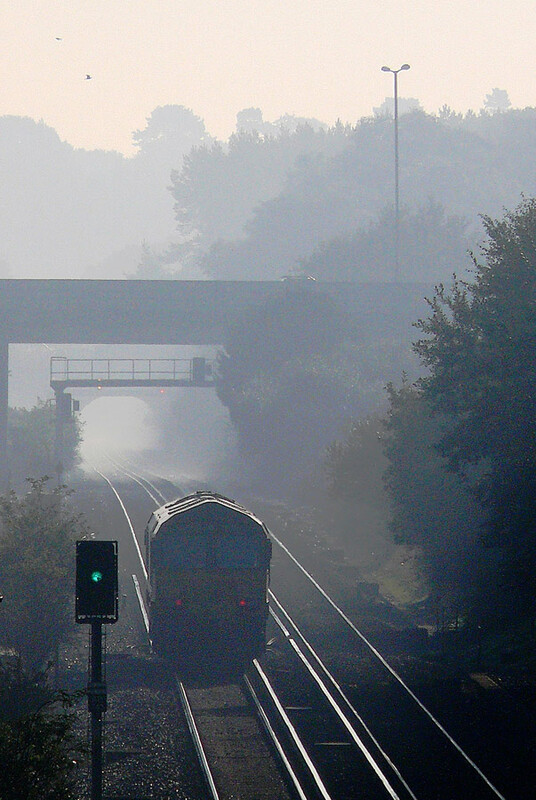 The locomotives are 66603 leading 66620. Godfrey Road Locomotive Stabling Yard adjacent to Newport station in South Wales. 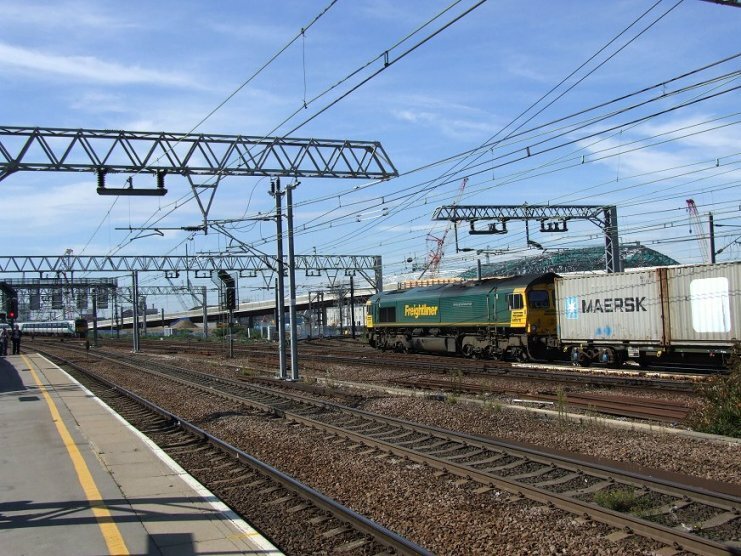 Stabled when I took this photo is Class 60 locomotive 60031 and five Class 66 locomotives numbers 66246, 66034, 66043(? 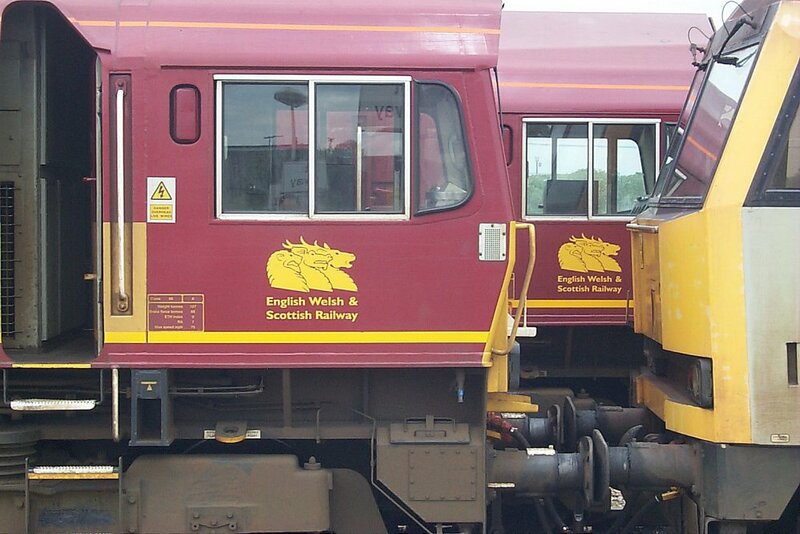 ), 66079 and 66187. Photo by Chris McKenna 20/05/2006. 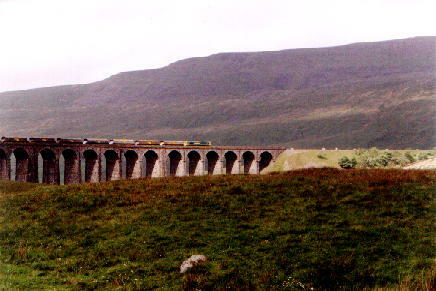 A landscape shot of an unidentified EWS Class 66 on a coal train heading north over Ribblehead viaduct on the S & C in 2004. 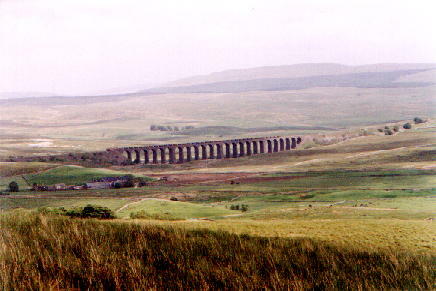 Unidentified Freightliner Heavy Haul Class 66s heading north (going right in the photo) and south (going left in the photo) respectively over Ribblehead viaduct on the S&C in 2004. Photo and scan by William Cook (william.f.cook@btinternet.com). 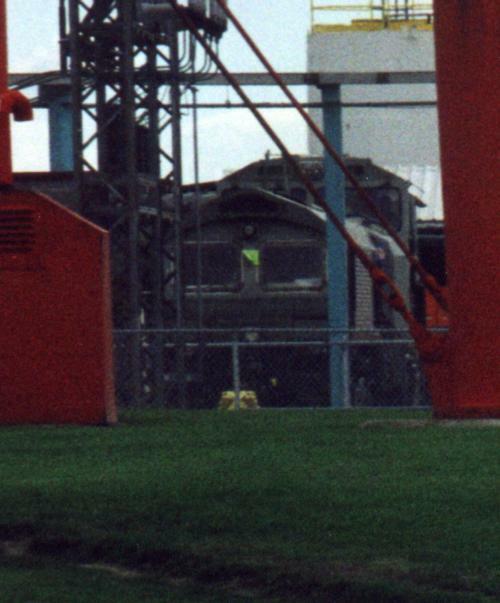 This newly built class 66 is parked in a siding by the side of General Motor's paint shop at London, Ontario (Canada). Behind, clearly showing the difference in size between UK and US railways is a new BNSF SD70 Mac. Photo by John Hyde (JohnHyde22@hotmail.com). 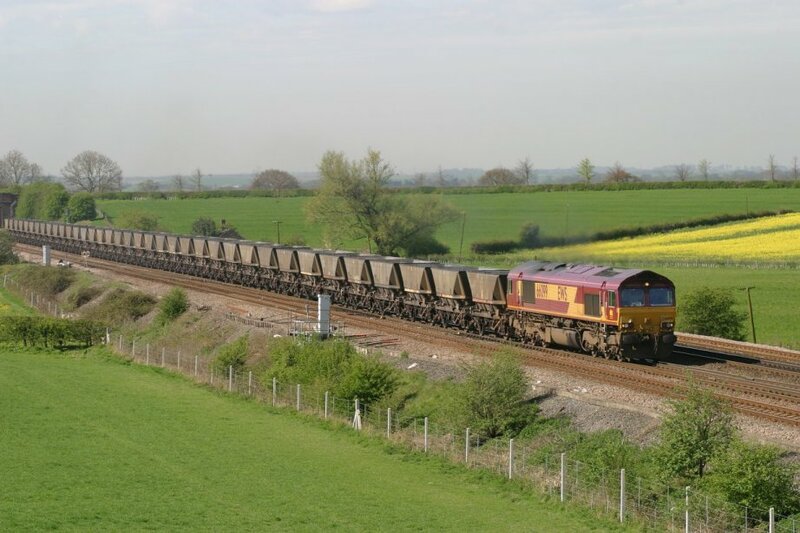 EWS heads north at Colton Junction later April 2004 with a rake of Coal Hoppers. 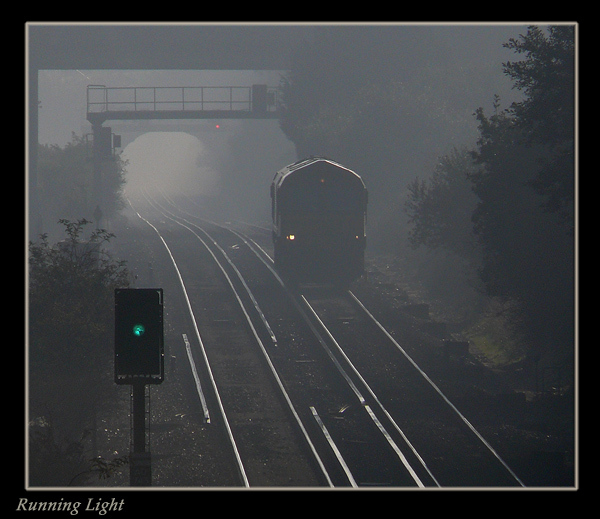 Copyright belongs to Andrew Ducker who can be contacted at ecml@yahoo.co.uk, photographs taken on Canon EOS10D. Well who would believe that opposite the very spot I have spent taking so many train pictures over the years the World will focus on in 2012 when the Olympics comes to Stratford. Just above the Freightliner class 66 the green roof of the Aquatics Centre can be made out, beyond that the white of the Olympics Stadium can just be seen whilst the flyover visible in the Picture is a roadway. Change could not come on a bigger scale for Stratford which was once one of the Country's great railway centres...sadly to my knowledge nothing now remains. This view was taken in late Summer 2009. 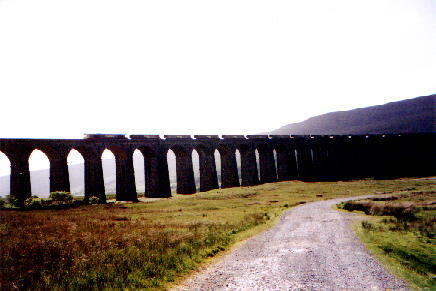 British and Foreign Railway Pictures Jampics Fotopic. 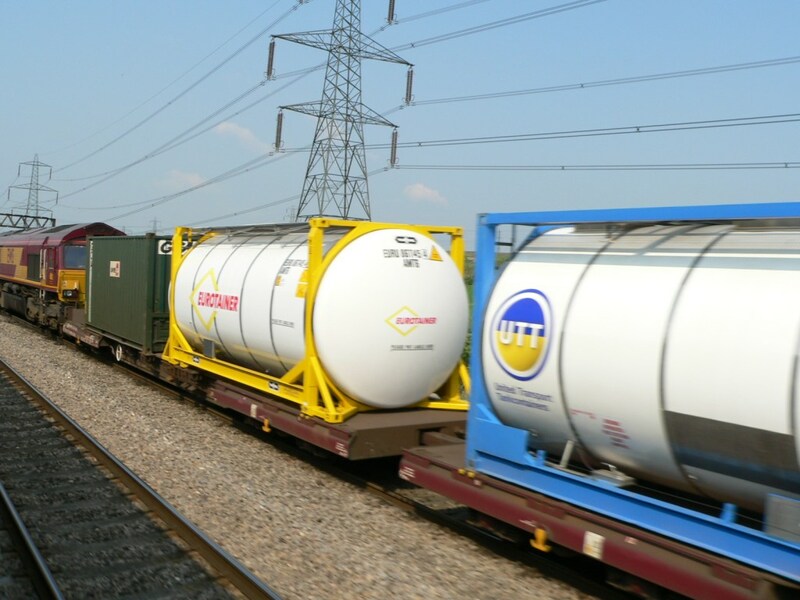 Now Stratford in E.London is not near a coal mine or a power station so the last type of freight train you would expect to see there is a coal train...but this is one. 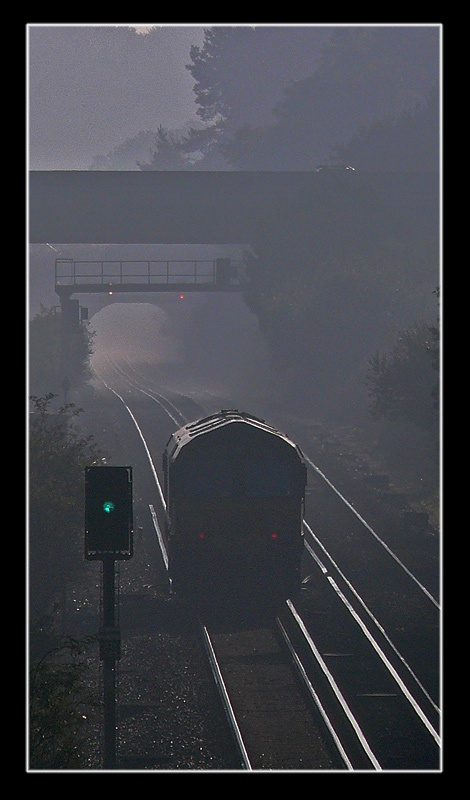 Its the Avonmouth to Foxton that could only be seen in the evening...Mondays only maybe.. and a picture like this could only be taken during longer days. 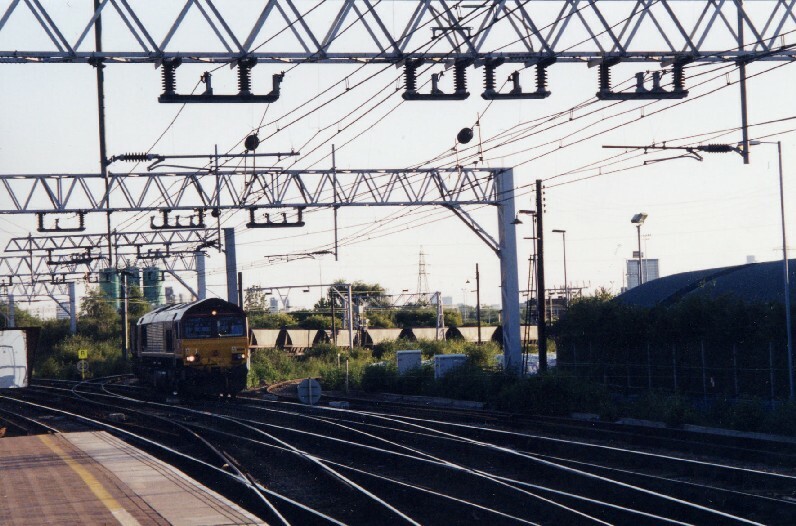 The setting sun highlights the coal hoppers nicely as they make their way to the sugar beat factory near Cambridge in the late Spring of 2002 with an EWS class 66 in charge. 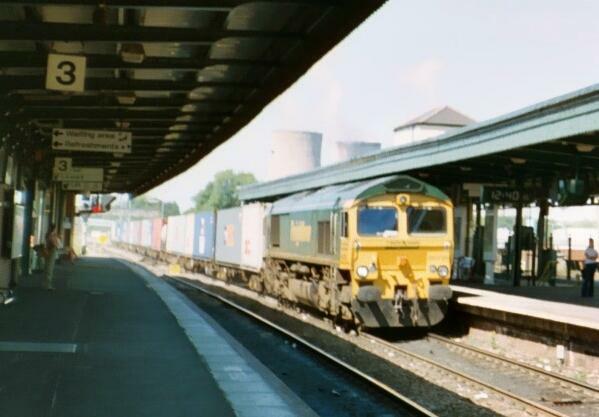 Picture shows the locomotive passing Didcot Station. 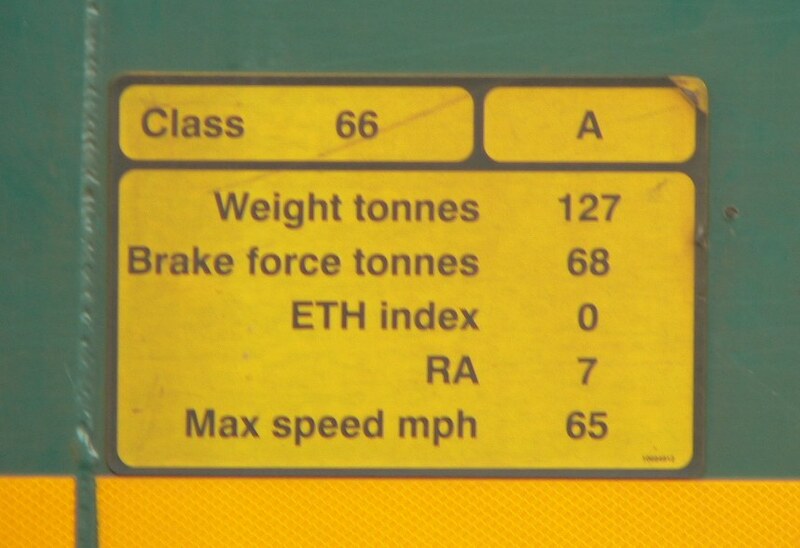 The data plate for a Class 66/6 locomotive. Photo by Chris McKenna 28/06/2005. Larger, higher quality copies of most of my pictures are available, please email if you want a copy. 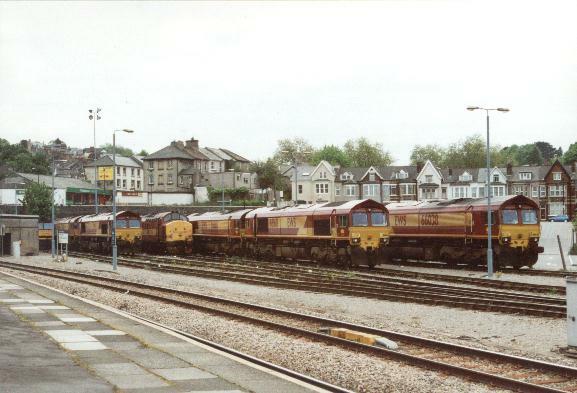 Lineup of Class 66s at Newport Stabler, October 2001.